Our Board of Directors, endorsed by our Shareholders, has extensive experience and is made up of professionals drawn from a range of fields including finance, government and utilities. See below to view their profiles. BSc(Met), MEngSc, FAICD Mr Cornish was appointed to the Board on 10 August 2012. He is currently Chairman of IMB Bank, director of Forestry Corporation NSW and Venues NSW and Deputy Chancellor of the University of Wollongong. His former roles include National President of Ai Group, Chief Executive of BlueScope Limited’s Australian and New Zealand steel manufacturing businesses and President NorthstarBHP LLC in Ohio USA. 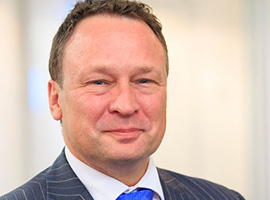 Mr Broad was appointed as a non-executive director of the Company on 20 June 2013. Before being appointed as a director, Mr Broad was Chief Executive Officer of Infrastructure NSW, AAPT, PowerTel, EnergyAustralia Sydney Water and Hunter Water. In addition, Mr Broad was formerly Chairman of the Hunter Development Corporation and a non-executive director of Iinett Ltd.
BA, LLB Ms Coonan was appointed to the Board on 23 January 2014. 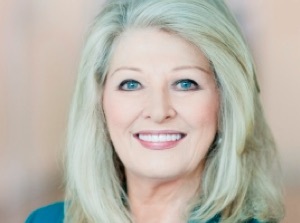 As the former Australian Government Cabinet Minister for Communication, Minister for Revenue and Assistant Treasurer, Deputy Leader of the Government in the Senate, Shareholder Minister for the Telstra Corporation and Australia Post, commercial lawyer and trained mediator, Ms Coonan has a proven track record of leading stakeholders through major economic reforms and handling complex policy settings, especially where public policy and regulation intersects with business interests. In addition to her appointment with Snowy Hydro, Ms Coonan serves on the Advisory Council of JP Morgan and the Board of Advice of Aon Risk Services Australia Ltd. She is a Non-Executive Director of Crown Resorts Ltd, Chair of the Crown Resorts Foundation, Chair of GRACosway Pty Ltd (a subsidiary of the Clemenger Group), a Trustee of the Sydney Opera House Trust and a Non-Executive Director of Obesity Australia Ltd.
BBus (Acc), FCPA, MAICD, F Fin (Finsia) Mr Ihlein was appointed to the Board on 10 August 2012. He is a non executive director and Chair of the Audit & Risk Committee of CSR Limited and a non executive director and Chair of the Audit & Risk Committee of Scentre Group. 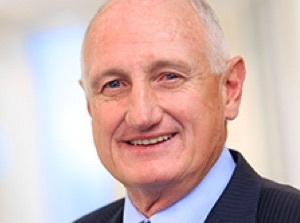 He is also a non executive director and Chair of the Compliance Committee of Murray Goulburn Co-operative Co. Limited. He previously spent six years at Brambles Limited as an executive director with roles as Chief Executive Officer and Chief Financial Officer. Prior to that he had a 26 year career with Coca-Cola Amatil Limited including seven years as Chief Financial Officer and Executive Director and numerous senior operational and financial roles in both Australia and overseas. He is also Chair of the Australian Theatre for Young People. 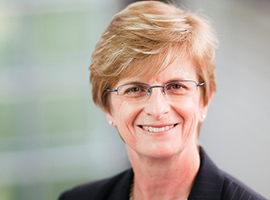 BEc, FCPA, FCA, FIPA, FCIS, FGIA, FAICD Ms Morton was appointed to the Board on 10 August 2012. She is a non-executive director of Argo Investments Limited, Argo Global Listed Infrastructure Limited and Chairperson of Thorn Group Limited. She is also a member of the Business School Divisional Board and until recently, the Board of Advice of the University of Sydney. Ms Morton chairs the Salvation Army Red Shield Doorknock Appeal for Sydney. Her former roles include being a non-executive director of Crane Group Limited, Noni B Limited and Count Financial Limited and executive positions with Woolworths Limited, The Shell Company of Australia, Shell International BV and with Coopers and Lybrand (now PricewaterhouseCoopers). BEc (Hon) Mr Sheppard was appointed to the Board on 13 May 2015. He is currently Chairman of Dexus Property Group and a director of The Star Entertainment Group. 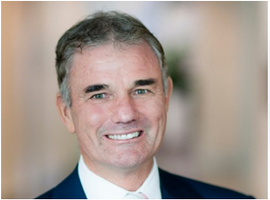 His former roles include Chief Executive Officer and Managing Director of Macquarie Bank. 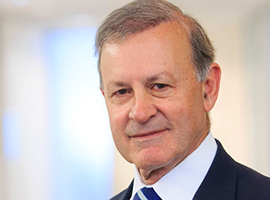 Mr Sheppard has held the positions of Chairman, Eraring Energy, Chairman of the Australian Government Financial Sector Advisory Council and Chairman of Macquarie Airports. He is also Treasurer of the Bradman Foundation. 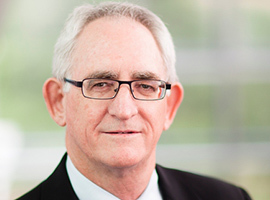 B Bus (Acc), FCPA, Grad Dip Bus, GAICD, CFTP (Snr) Mr Clark was appointed to the Board on 13 May 2015. Prior to joining the Company Mr Clark was Managing Director of Momentum Energy. Mr Clark held several senior roles at Momentum including Chief Financial Officer and General Manager, Commercial. Previous roles also include Head of Strategy and Development at TRUenergy and Manager Energy Developments, Eastern Australia at Alcoa Australia. 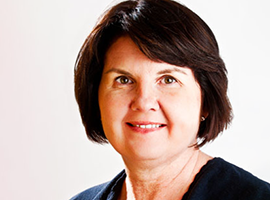 BEChem MBA FAICD FIEAust RPEQ Ms Bond was appointed to the Board on 25 November 2015. She is currently on the boards of Territory Generation, Liquefied Natural Gas Limited, JKTech Pty Ltd and Engineers Australia Ltd, and recently retired from the board of Coffey International Limited. Ms Bond has previously held board positions on a number of water and energy businesses including Tarong Energy and Queensland Bulk Water Supply Authority (Seqwater) and was Chair of Brisbane Water. Ms Bond held a variety of senior positions at Worley Parsons prior to starting Breakthrough Energy Pty Ltd in 2006. Ms Bond was awarded Australian Professional Engineer of the Year in 2007 and won an Australian Institute of Company Directors (AICD) Diversity Scholarship in 2010.